Miss Swimsuit UK 2019 Search is on! We are in search for the next British swimwear modelling superstar. Heat 1 Leeds 16th February. With the Grand UK Final on the 29th September. 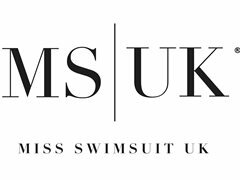 Miss Swimsuit UK will run the Fifth annual edition of the competition in 2019 and is calling for entrants from all over the UK. As well as claiming the UK crown, the new Miss Swimsuit UK will go on to represent the country at the Swimsuit USA International 2019 World Finals competition on an all expenses paid trip to Mexico in October. This well-known global competition attracts the best swimwear models, and scouts, from across the globe, with 70 contestants competing to win the worldwide title. Miss Swimsuit UK founder Verena Twigg said: “We are really looking forward to seeing the talent that the UK has to offer this year, and I can’t wait to meet in person the aspiring models who believe they have what it takes to become the next Miss Swimsuit UK. This competition is all about empowering women to be their boldest and most beautiful, inside and out, and it celebrates women who enjoy healthy and active lifestyles. The process will be tough, but the opportunities will be life changing".